The five Parliamentarians of National Freedom Front (NFF) informed the Speaker in writing that they will be leaving the Constitutional Assembly, today. 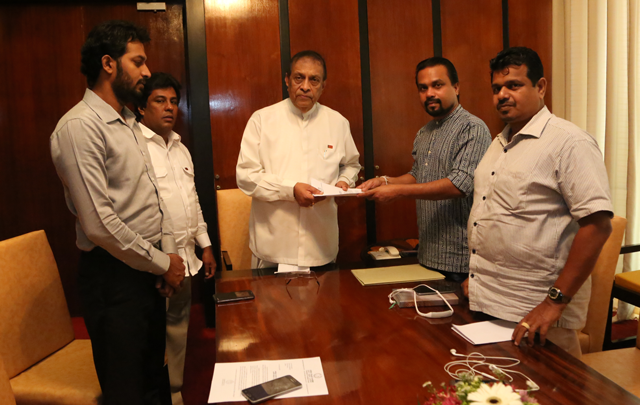 The five NFF parliamentarians who were elected to parliament after contesting under the United People’s Freedom Alliance (UPFA) handed over their letter to Speaker Karu Jayasuriya informing that they will be leaving the Constitutional Assembly. 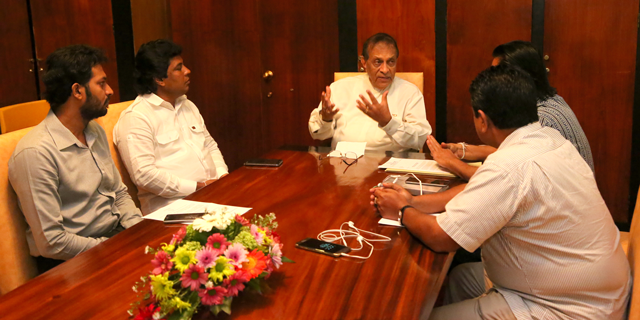 The parliamentarians who will be leaving are NFF Leader MP Wimal Weearawansa and other NFF Parliamentarians Weerakumara Dissanayake, Jayantha Samaraweera, Udayashantha Gunasekara and Niroshan Premaratne. In their letter, the MPs have mentioned ten reasons as to why they decided to leave the Constitutional Assembly and they have also mentioned that all representatives of the party unanimously agreed with this decision. They urged the Speaker to inform the Parliament that their departure would challenge the validity of the Constitutional Assembly since it has breached one condition of the proposal passed in the Parliament that the Constitutional Assembly should be consisted of all the 225 Parliamentarians. In their letter, NFF MPs have mentioned that the NFF accept the joint statement made by the Bhikkus of three Nikayas claiming that there is no need to bring in new Constitution. They also informed that the people’s mandate has not been received to the 95 Joint Ppposition members to bring amendments to the constitution and the Parliament has no special majority to do so.